Op-ed: How Texans (and all Americans) can help Puerto Rico - Luis E. Hestres, Ph.D.
Puerto Rico needs massive assistance to cope with the aftermath of Hurricane Maria. Just a few weeks after millions of Americans in Houston and surrounding areas suffered the onslaught of Hurricane Harvey, another large community of American citizens is suffering the effects of yet another devastating storm. Hurricane Maria has left Puerto Rico, the island home of 3.5 million American citizens, utterly devastated. Nearly all the island’s electrical grid is down, along with 40 percent of the water service and 93 percent of cell towers. Fuel for vehicles is scarce, and thousands line up outside gas stations for days hoping to fill their tanks. Despite President Trump’s comments today comparing Maria’s death toll on the island to Katrina’s on the mainland in 2005, Puerto Rico is experiencing a true catastrophe. The storm left so much debris on the ground that entire towns are still inaccessible by land. Puerto Rico had not seen this kind of devastation from a hurricane in almost a century. As Puerto Ricans suffer under the sweltering tropical heat — with no air conditioning or even shade from trees — the death toll continues to climb due to the lack of electricity and other basic necessities. Insulin goes uncooled. Dialysis machines go unused. Incubators and ventilators fail. Many slip through the cracks because of lack of access to timely health care. Children and the elderly — especially those whose homes have been utterly destroyed — are particularly vulnerable now. The local government has been doing everything in its power to help its citizens through this crisis — but it’s not enough. The Puerto Rican government is hampered by a 10-year long economic and financial crisis and its effects on the government’s ability to cope with this emergency. In short, massive assistance from the mainland is badly needed — especially from the federal government. 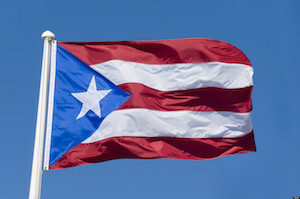 This means, among other things, that Puerto Rico needs Congress to pass a supplemental spending bill that includes several key elements: immediate emergency relief; infrastructure repair funds; investment in revamping the island’s outdated electrical grid; lifting the Medicaid cap and other funding limits on federal health programs; and economic development tools that allow for a speedier recovery. Congress recently did something similar for Texas and Florida, so there’s no reason why it can’t do the same for the millions of American citizens in Puerto Rico who desperately need this help. Texans could help Puerto Rico immensely by contacting their representatives in Congress and advocating for a robust aid package for the island. President Trump took a step in the right direction by waiving the Jones Act, an anachronistic law that requires all shipping to and from Puerto Rico to occur on U.S. ships with U.S. crews. The downside: He only waived the law for 10 days. Most ships can take a week to get to Puerto Rico, so this waiver clearly isn’t enough. The president must waive this outdated law for at least a year and seriously consider striking it altogether because it raises the cost of living for Puerto Ricans more than they can bear after the onslaught of Hurricane Maria. The president needs to hear from Texans about this and other measures that would help Puerto Rico. Finally, Puerto Ricans need their fellow American citizens in Texas and the rest of the country to continue donating generously to ease the crisis. Despite the ongoing recovery efforts in Houston, untold numbers of Texans have already opened their hearts and wallets to help the island in its moment of need. Puerto Ricans have served valiantly in every U.S. conflict since World War I — and whether they live on the island or the mainland, they contribute to American society in innumerable ways. Now, they need their fellow American citizens to come to their aid in their moment of greatest need. If history is any guide, Texans won’t let them down.